It seems the art of nail art will stay here due to the presence of several products related to this art and large numbers of committed salons for this purpose. 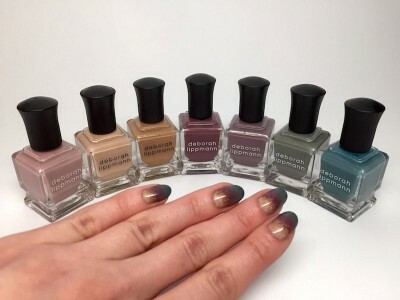 Here, we are presenting few beautiful and stylish summer nail designs through very famous nail polish brand that will spare you from your next manicure. You will get a step to step guide about different nail looks. Step 1: first apply a base coat. Step 2: now apply your first shade in two coats. Step 3: use a small piece of sponge after drying and then apply your second shade over the nails. Give some time to dry this polish. Step 4: after using third shade, use a clean sponge to wipe the polish so that the colors remain present in few areas and then let it dry. Step 5: Repeat the third step after using second shade. Step 6: use a top coat to finish the look. Step 1: apply and then dry the base coat. 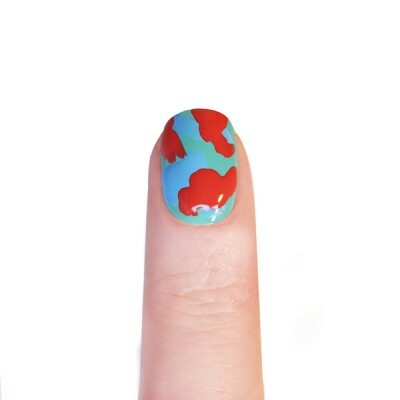 Step 2: create three paint areas by placing two pieces of scotch tape across the middle of each nail. Three colors will be painted at the base, middle and tip of the nail. Step 3: paint all the nails separately with 4 shades and take two minutes to dry. Step 4: now lift the scotch tape carefully and repeat steps 3 and 4 for other nails also. Step 5: use a nail art detail brush to apply second coat of color on every nail and dry it in two minutes. Step 1: Make a base coat application. Step 2: Use white nail color on the whole nail and cap the remaining edge. 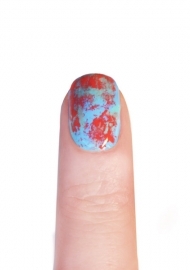 Step 3: draw a small and thick line above the middle of the nail by using a second color. Step 4: create a second thick line with third color. Step 5: use 4th shade and dotting tool to place them over third shade. Step 6: draw a small and thin line under 2nd shade with a 5th shade. Step 7: add details of the rope by using the 6th shade. Step 8: again cap the free edge after top coat to the entire nail. Step 2: use first shade to apply two coats. Step 3: use a second shade with a brush to make smooth and uneven shapes on your nails. Step 4: use a third shade to repeat step 2 and create few curvy shapes. Step 5: use top coat to finish the process. Step 1: start with applying a base coat. 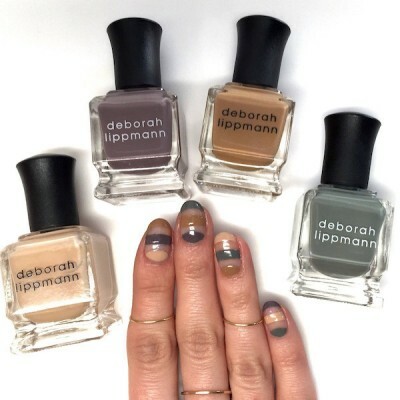 Step 2: make 7 horizontal sections of your nail and apply seven colors from base to tip of the nail. Make tiny and uneven dots by using small amount of polish and small nail art brush. Blend the colors together by using small amount of polish quickly. Dry application in two minutes. Step 3: create an ombre effect by interlink dots to transition colors. Step 4: Apply top coat to finish the look. Step 1: initially apply a base coat. 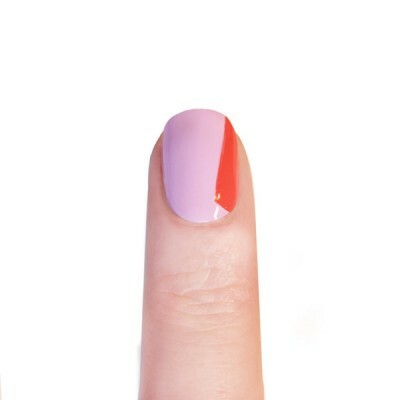 Step 3: use your second shade with a striping brush to draw a short diagonal line from corner edge to center of the nail. Draw another diagonal from end of the short line to bottom of the nail to complete the shape. Use top coat to finish the look.